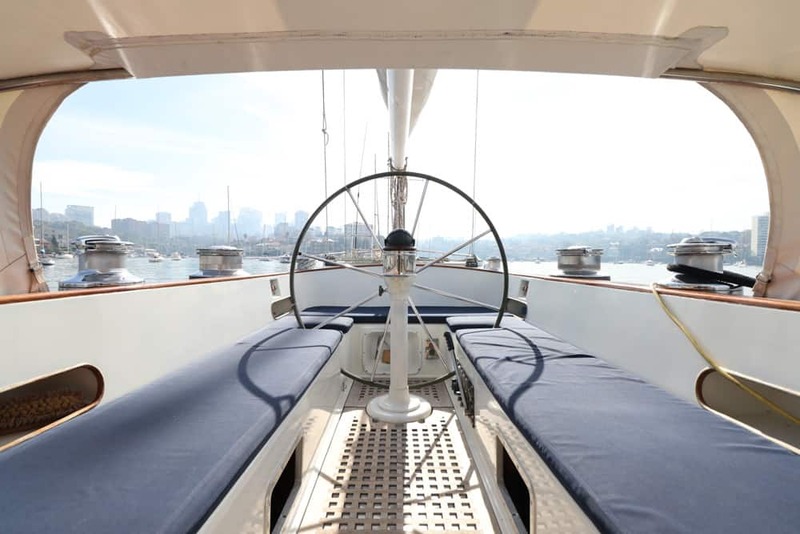 Classic cruising yacht with a turn of speed. 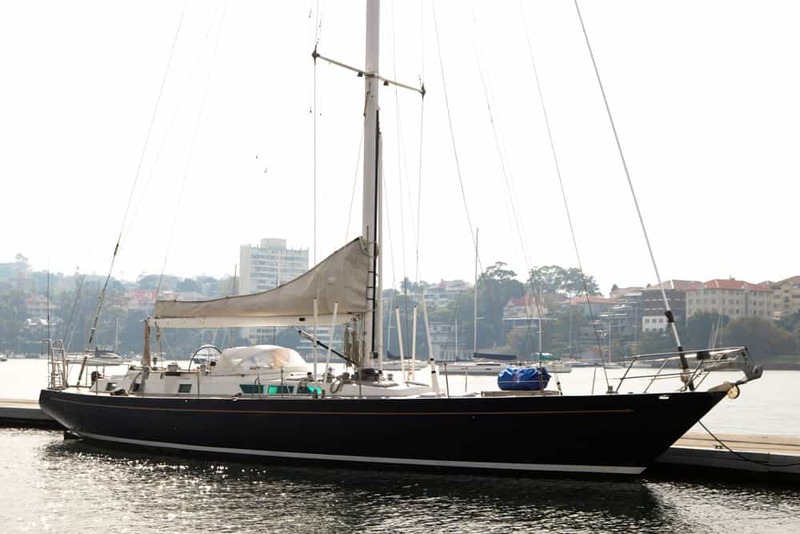 Described by Ken Swanson as his “all time favourite boat”*, Dreamtime was one of the custom orders built by the Swansons for Graham O’neil in 1983. 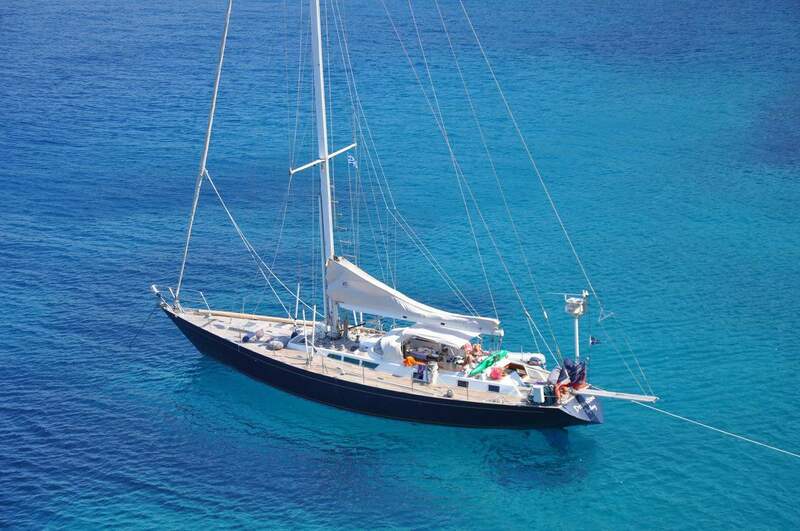 It is a German Frers design 67 ft yacht which has had a good racing history as well as cruised the pacific and the Mediterranean. 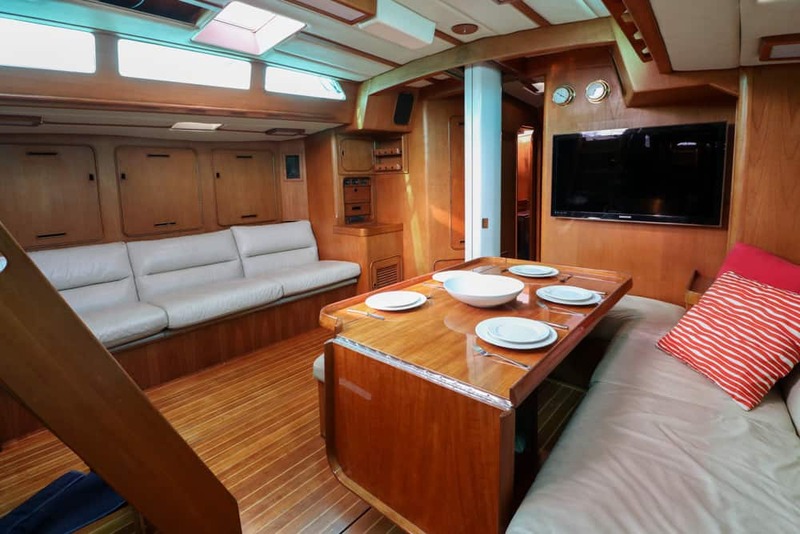 The interior is ideal for family cruising, with expansive storage spaces for food, appliances, crockery and a well laid out galley. There is comfortable space to relax and spread out. 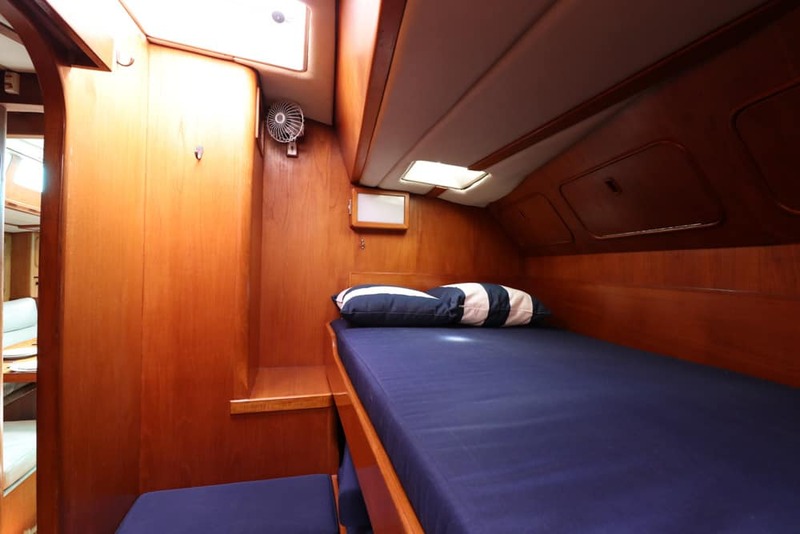 3 cabins offer 7 to 9 berths using a clever design and outstanding craftsmanship. Dreamtime had a new Perkins installed 2010 (400 hrs) and a new Onan 13.5kw generator at the same time. More recently she has added, 3 new heads, new batteries New stainless fuel tanks and more. 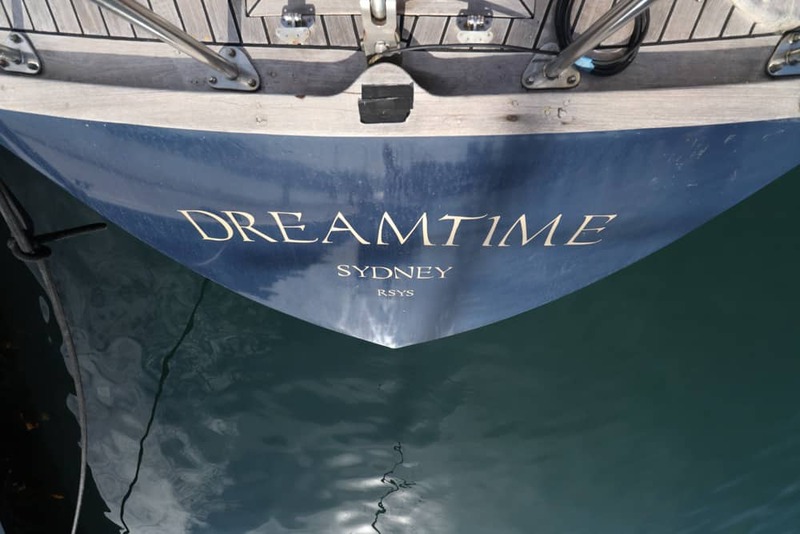 From a deeply respected designer and builder, Dreamtime has proved herself cruising the world with family and friends. Now it’s your turn. New Perkins engine and Onan Generator. Fixed with centerboard. 2.4 m with centreboard up. 3.8m with centreboard down. 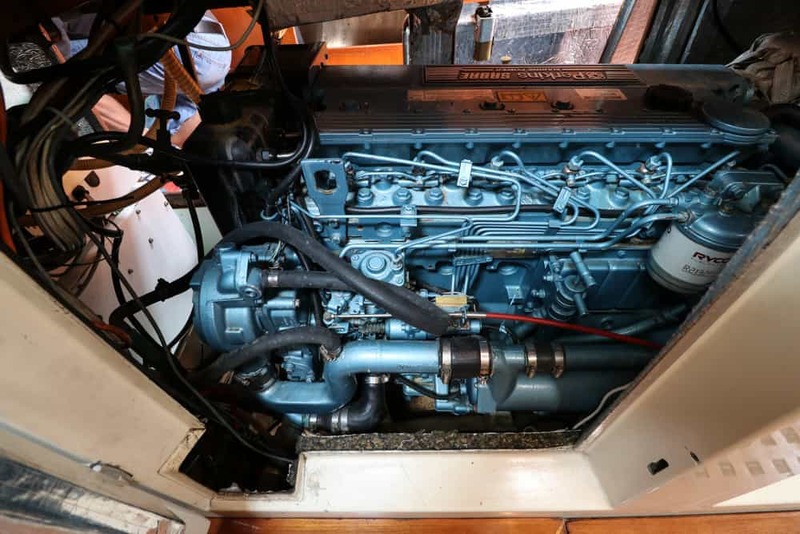 Perkins M215 C 215 Hp Diesel engine. New 2010. Cruise Speed: 8.5 k. Max Speed 10 k.
3 Electric Barlow winches Dual speed, self tailing at cockpit (2 for Jib 1 for main). 6 barlow winches at mast and 1 electric. 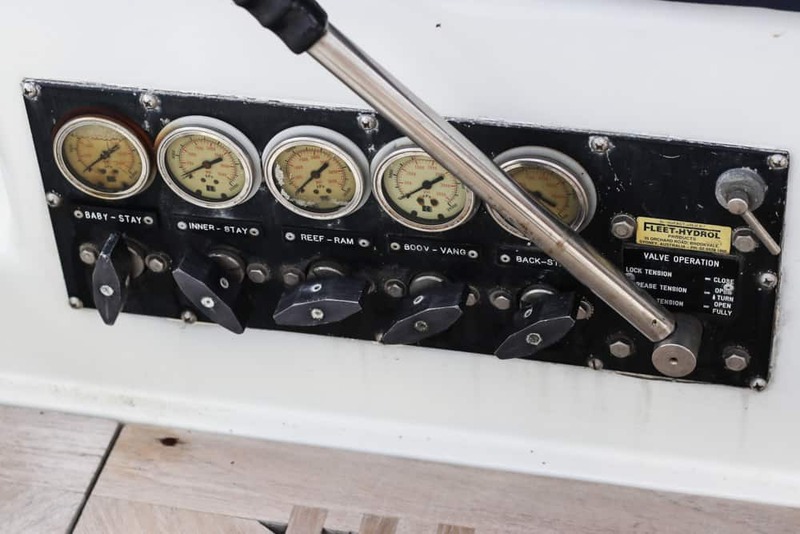 Additional 5 Barlow winches surround cockpit. Anchor: 1 x 40 kg Plow. 1 x 40 Kg CQR. 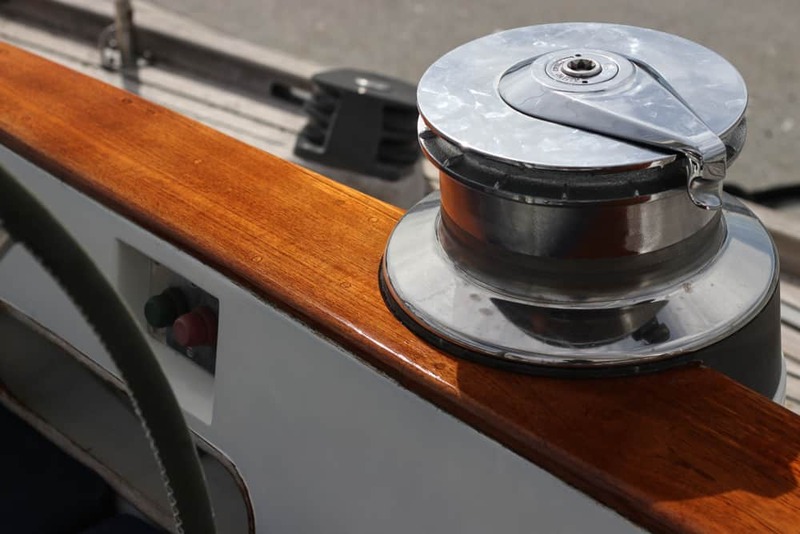 Windlass: Muir 3000 Electric. New 2010. 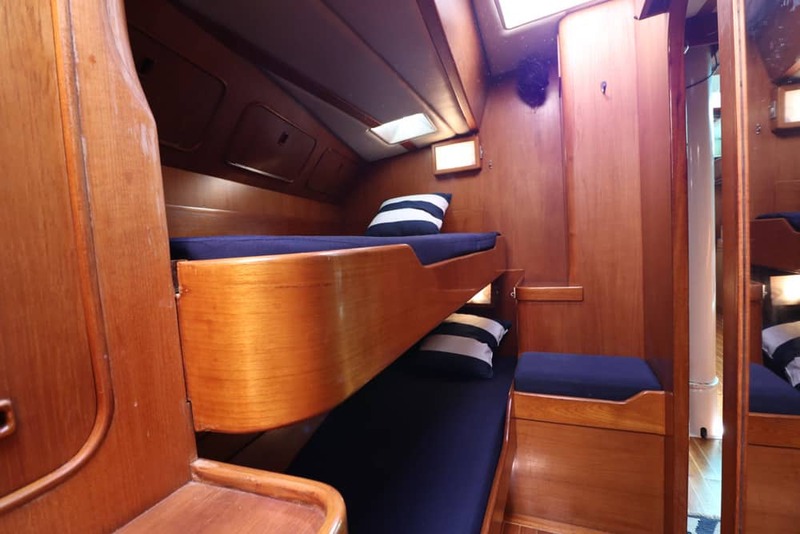 3 Cabins that can be configured to berth up to 9 people, not including saloon and forepeak singles. 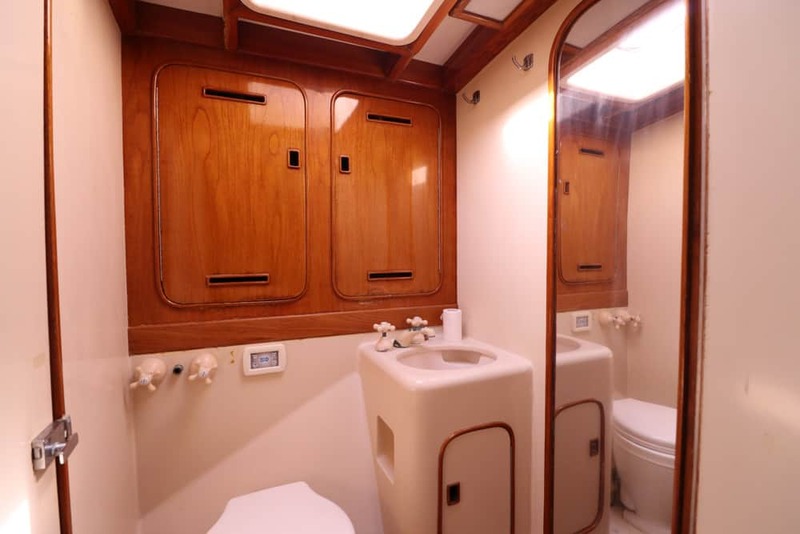 Forward are 2 opposite identical cabins that each have an ensuite with shower and head. 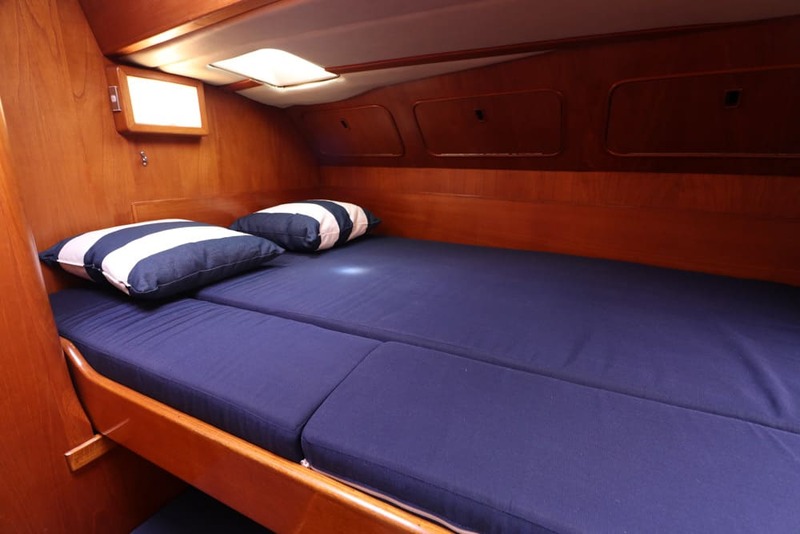 Each Forward cabin has a double bunk, seat, personal lights a fan and storage. 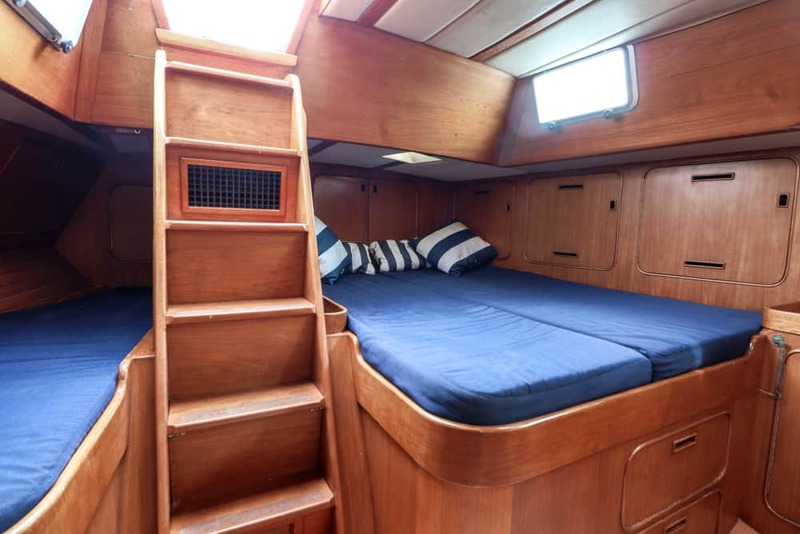 The Top bunk has a pull out side and extra mattress sections to create a double. 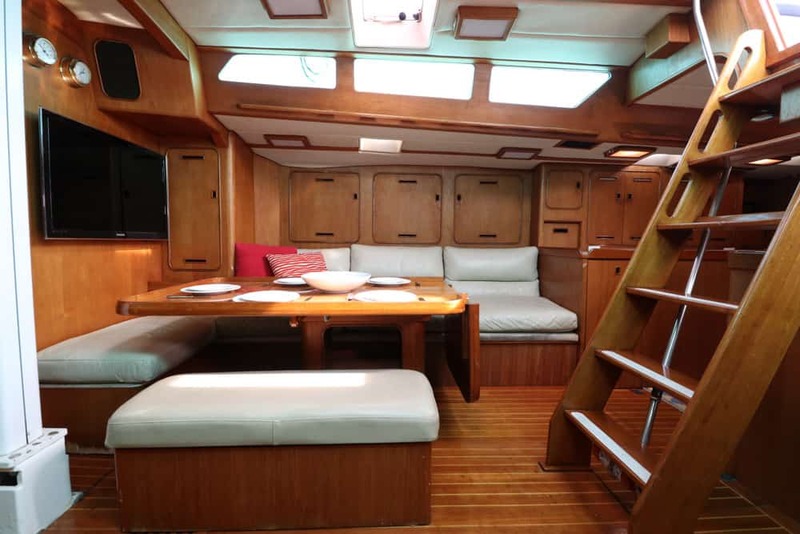 The aft cabin is large, light and airy with masses of stroarge cuboards. 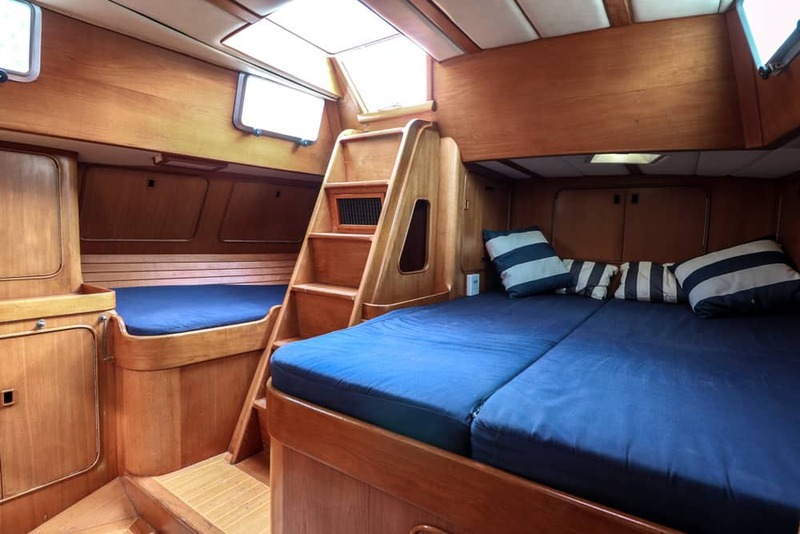 Port is a queen bed with storage under. Starboard is a large single. 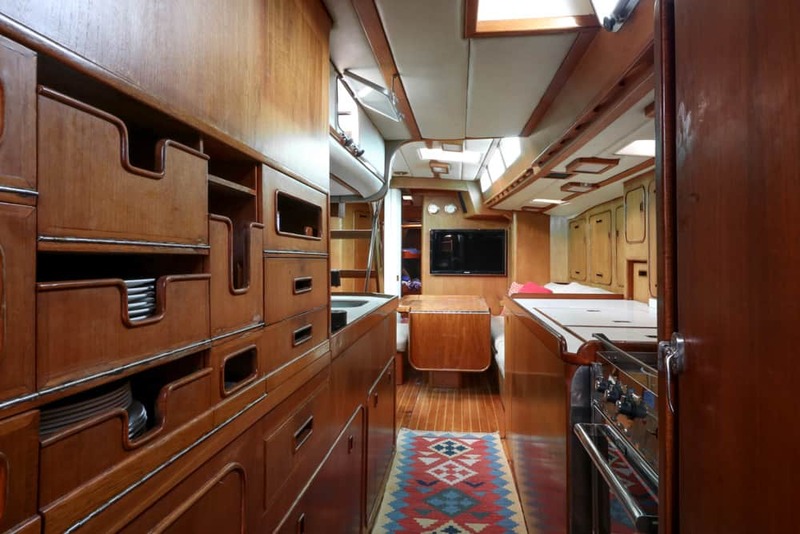 The aft companionway divides the 2. 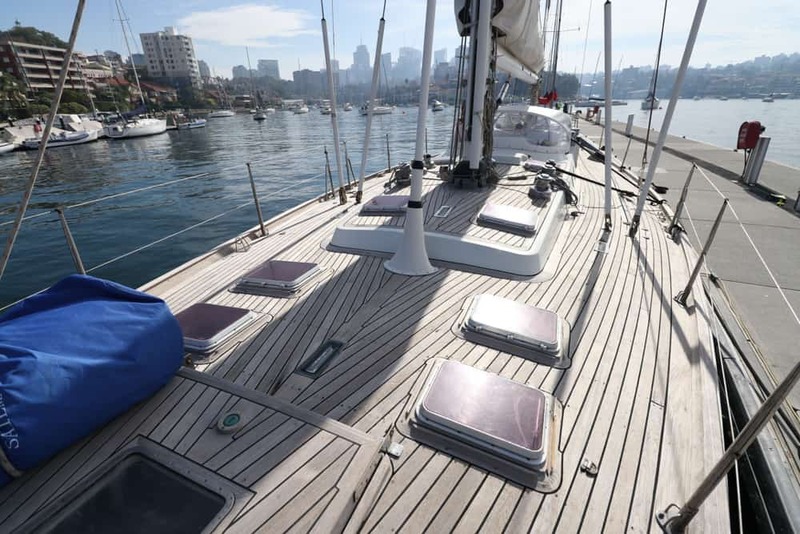 4 opening deck ports as well as the access hatchway provide plenty of ventilation. 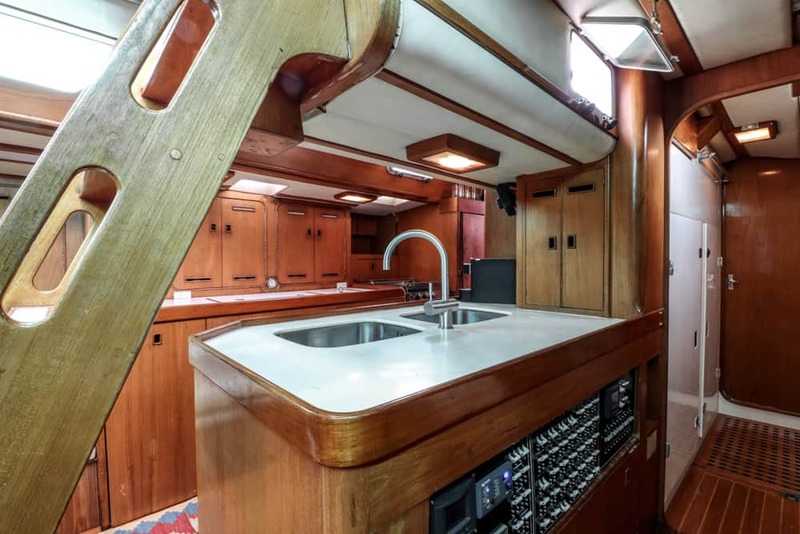 Galley on starboard with central island. Cockpit opening ports provide good ventilation and access to pass plates in and out easily. Double Stainless sink in centre island. Excellent storage for dry goods, crockery, cutlery, appliances. Standard: Safety standard to Cat 7. Bilge pumps: 2 X Electric. 1 X Manual. 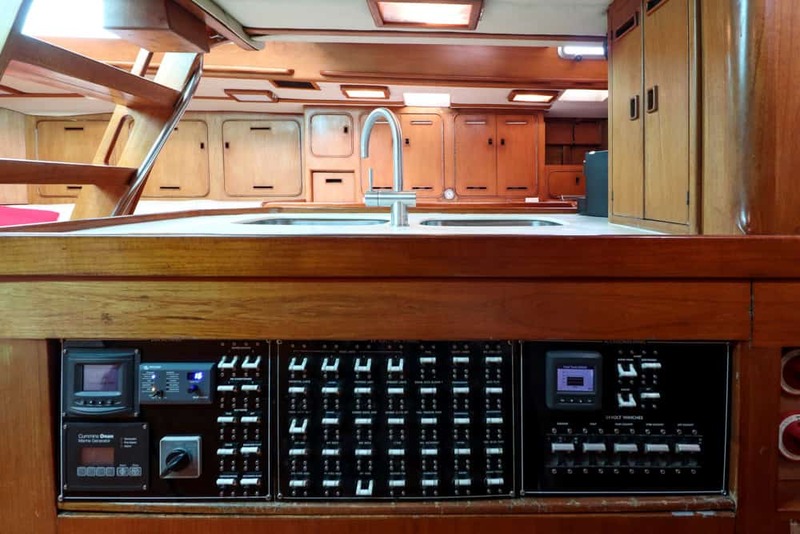 1 X 240 v.
Power outlets: 240 A outlets throughout boat. 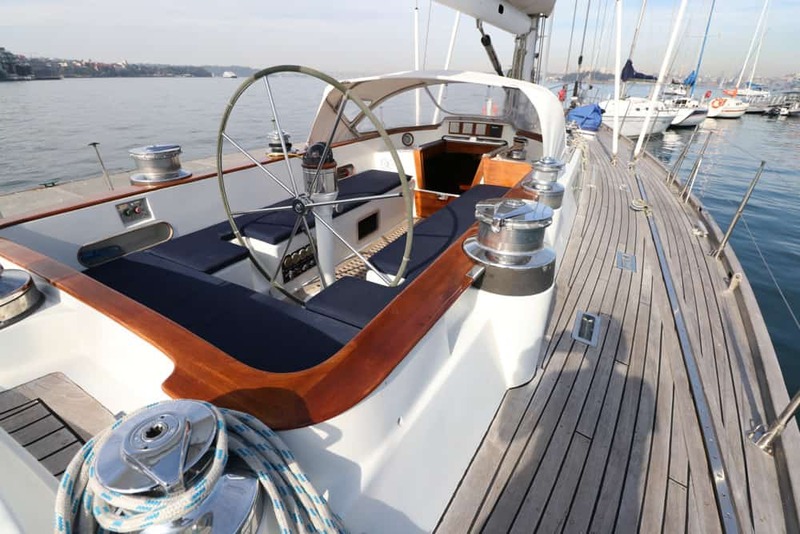 Navigation: New Raymarine Autohelm 2018. Wind. Speed. Depth. 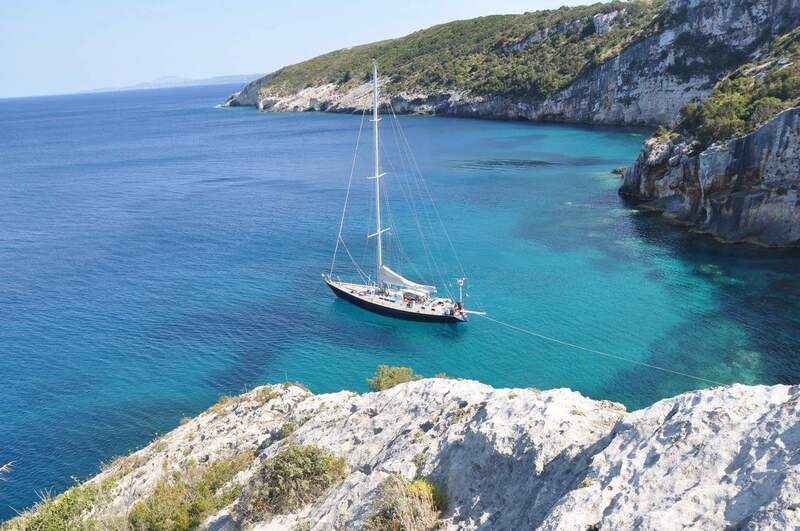 Mast: Masthead sloop / Cutter. Alloy 3 spreader mast slab reefing boom. Standing rigging: Stainless rod. New forestay and backstay fitted. 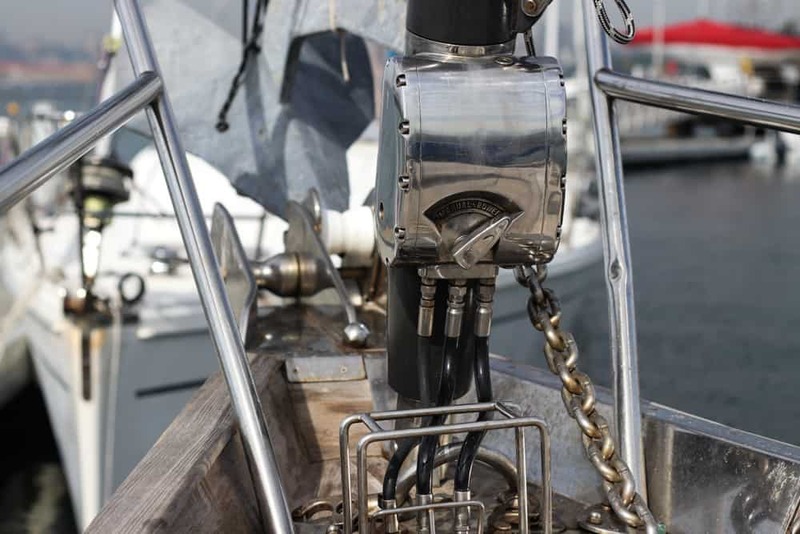 Running rigging: Spectra Halyards Hydraulics: Back stay, vang, reef, inner stay, baby stay. Harken hydraulic headsail furler. Completely rebuilt 2018. New pumps, fans, 3 new toilets new anchor winch, anchor chain and anchor. 2013 new stainless steel fuel tanks, all new fuel system. 2015 new refrigeration, new Force 10 marine stove. 2018 New Victron Energy 3000 watt 75 amp inverter charger, new house batteries, new autopilot. 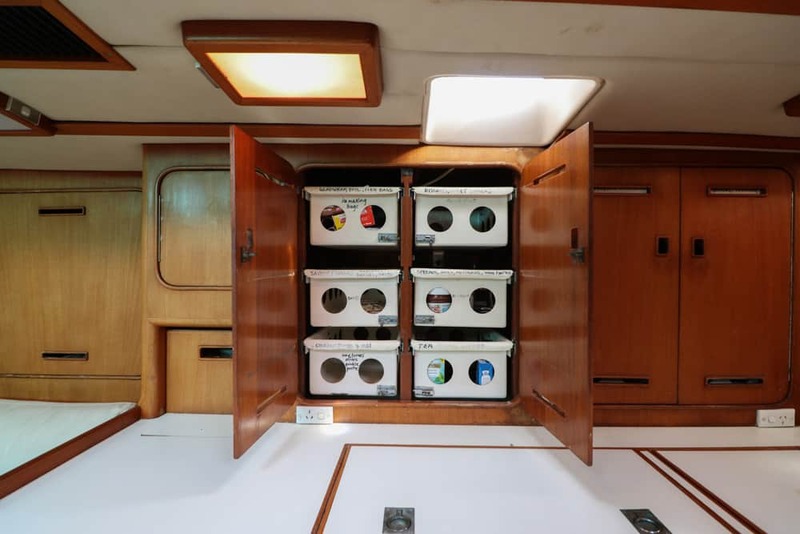 Disclaimer: Whilst every endeavour is made to ensure the accuracy of information provided, details are intended as a general guide to the vessel and its contents. 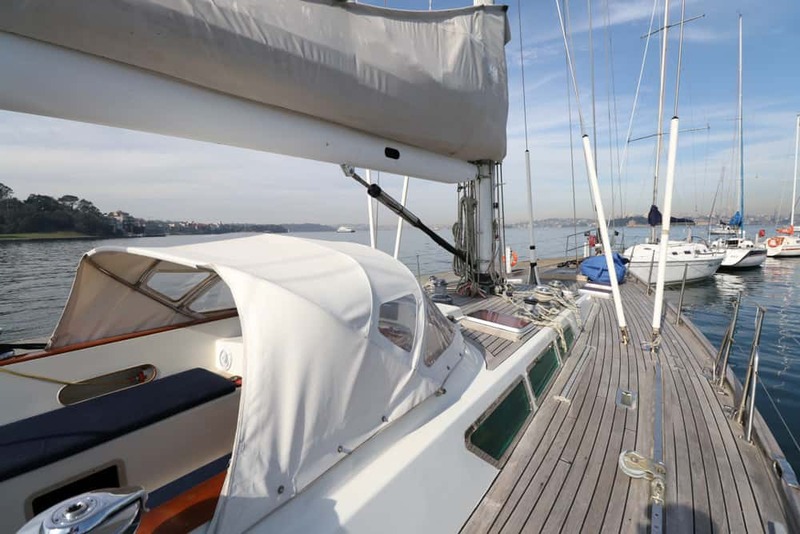 Details are supplied by sellers and the accuracy of those details cannot be guaranteed by Vicsail. To find out more about this boat, please complete the following details.